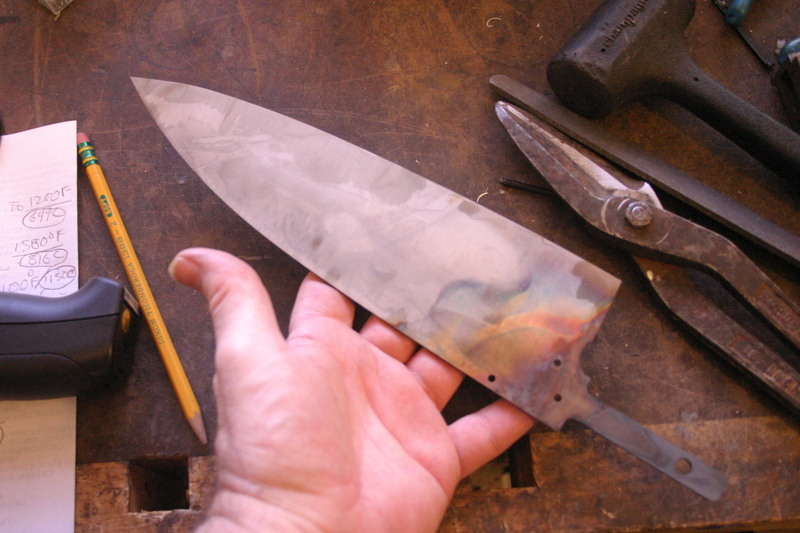 Written by mark_bartlett on April 18, 2013 in Chef Knives, Knifemaking, Heat Treating, Steel. Next Up! Dan's Chef Knife Commission Part 5: Joining Bolster, Blade, & Handle. Dan's Bohler Uddeholm 390 blade is then wrapped in stainless steel foil to protect the steel from oxidization during heat treating. The blade is then heat cycled to 1150 degrees C, much higher than other steels! 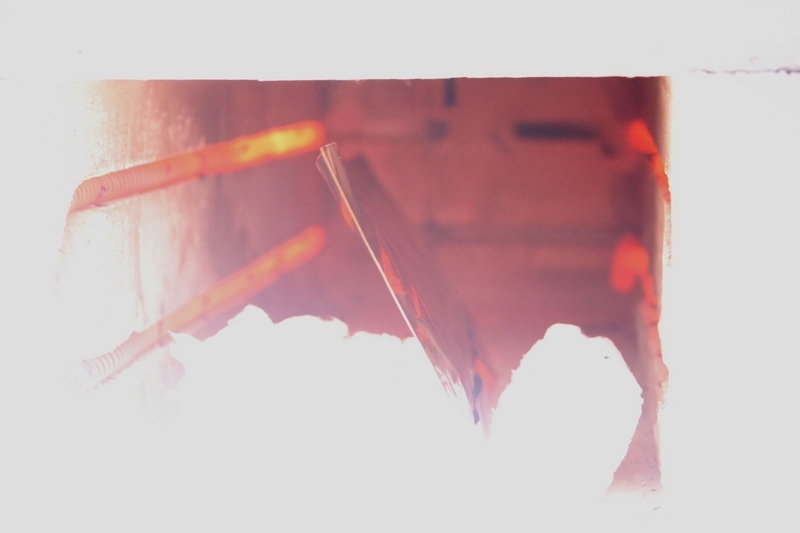 Dan's blade is then quickly quenched using aluminum plates to ambient temperature. At this point the blade is dead hard and needs to be tempered for a few hours at a designated temperature to bring the blade to the proper hardness. Written by mark_bartlett on April 16, 2013 in Chef Knives, Knifemaking. Next Up! Dan's Chef Knife Commission Part 4: Heat Treating. 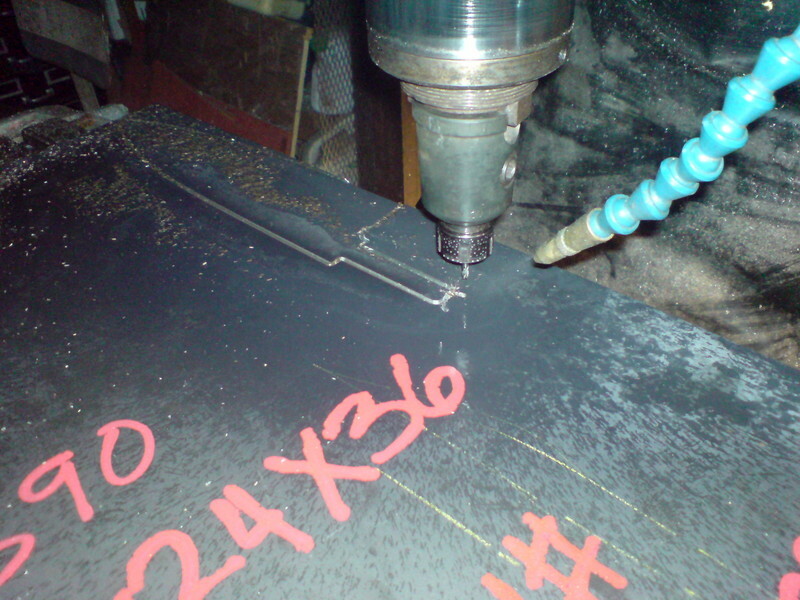 Sawing the bolsters for Dan's chef knife from a large bar of 416 stainless steel. 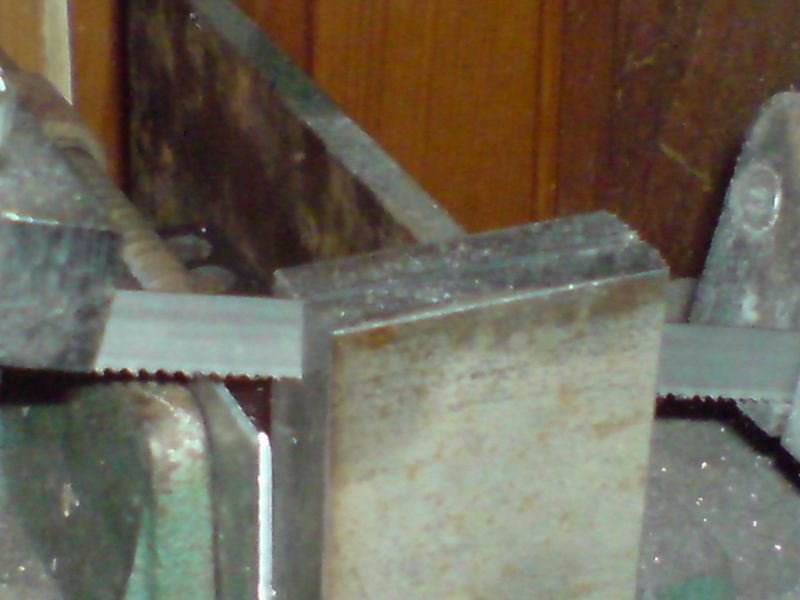 I have found again that I have to use premium bi-metal saw blades to cut this hard steel. Cutting the slab for the handle from a large block of Desert Ironwood. 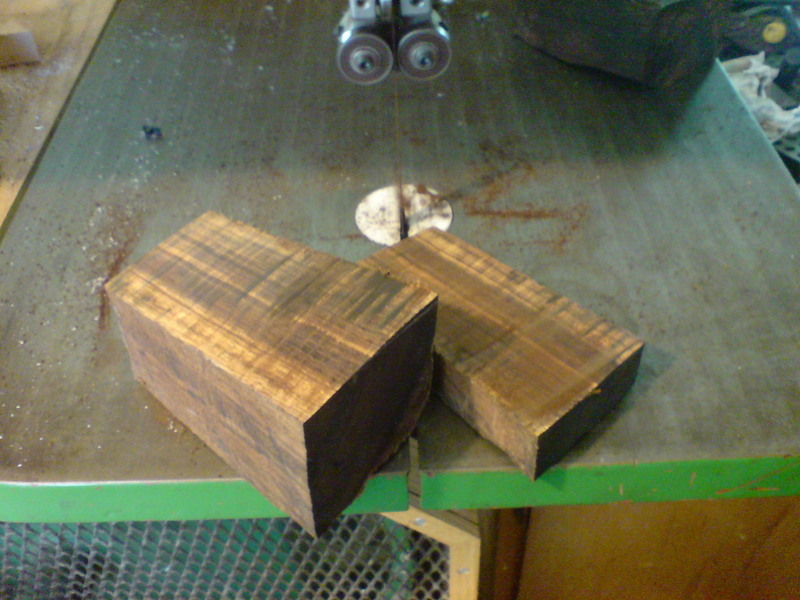 Desert Ironwood is very hard, dense and has a high oil content. Perfect for knife handles. The profiled bolsters and handle. 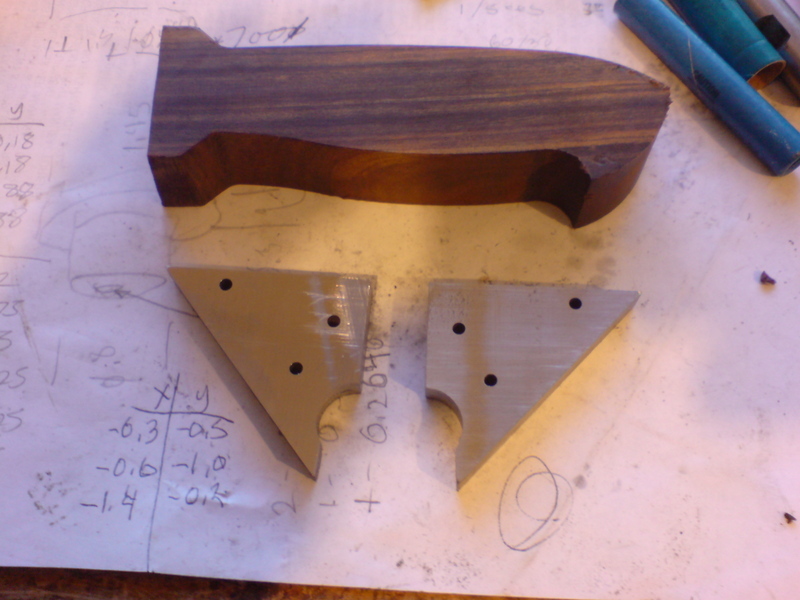 At this point these pieces will be further shaped and developed by handwork. 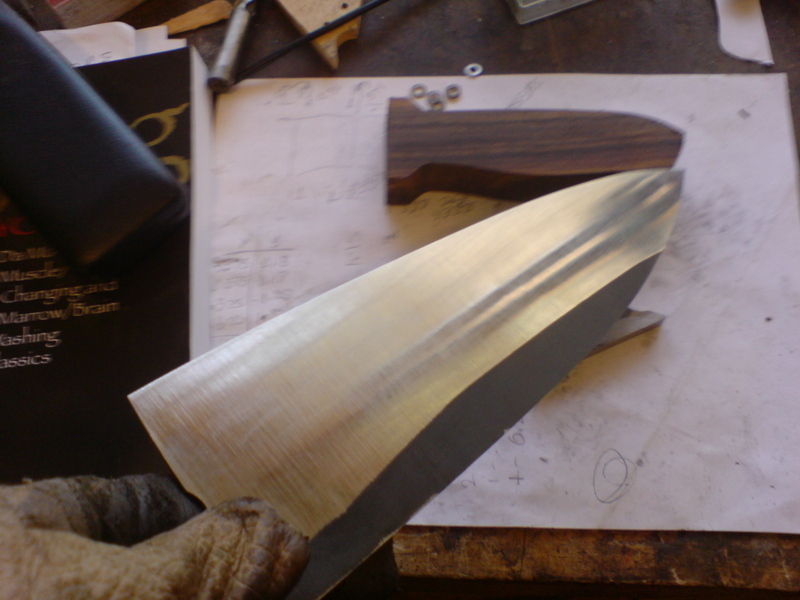 Written by mark_bartlett on April 8, 2013 in Chef Knives, Knifemaking. Next Up! Dan's Chef Knife Commission Part 3: Bolsters And More Grinding. Profiling Dan's Chef Knife from a large sheet of Bohler Uddeholm m390. 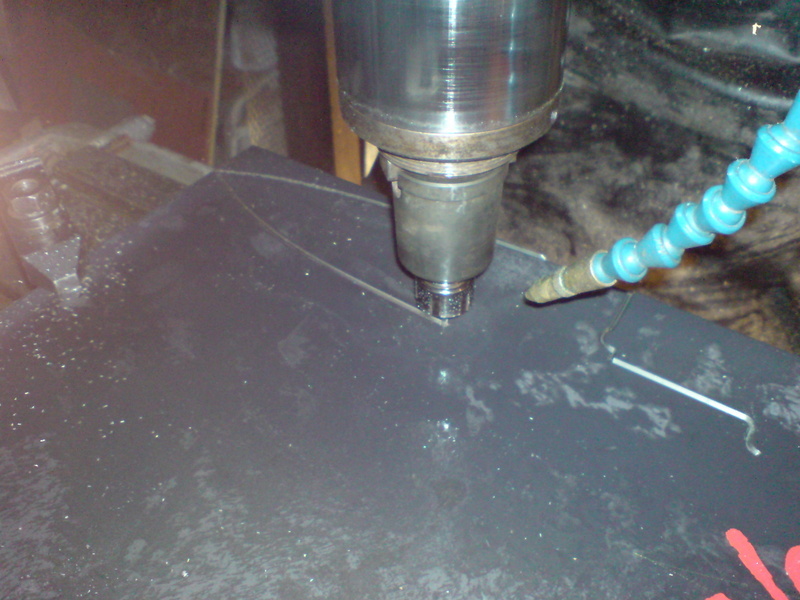 You can only cut this steel with carbide cutting tools or use water jet due to it's difficulty in machining and it's propensity to work harden.